The Inn at Whitewing Farm property and most of Brandywine Valley was originally inhabited by the native Lenape Tribe in the 1500s. 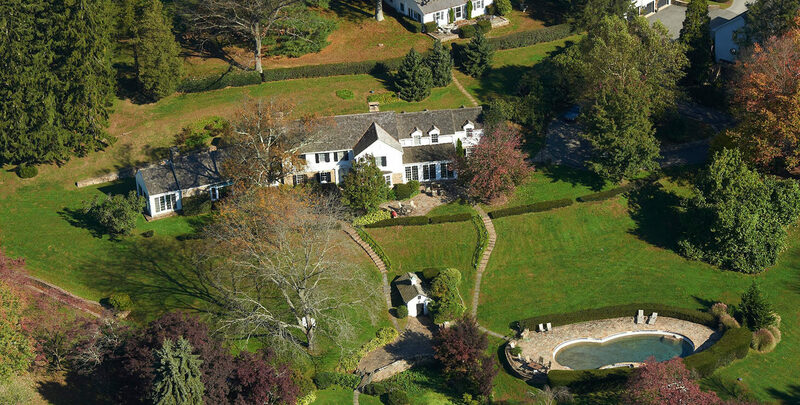 Title to the property was transferred to William Penn in the early 1700s, and he subsequently sold it to the Pierces, a Quaker farming family. They worked as dairy farmers and created one of the first arboretums that was said to have the finest tree collections in the nation. By the mid-1900s the Pierces sold most of their land to Pierre du Pont, who turned it into what is now known as Longwood Gardens. Forty-four acres adjacent to Longwood Gardens were sold to Russell and Bertha Pippen and became the original Whitewing Farm. Mr. Pippen was the Vice President for the DuPont Company and had some of the horticulturists from Longwood Gardens plant some of their rare trees and perennials for Whitewing. The Pippens ran Whitewing for close to 100 years. 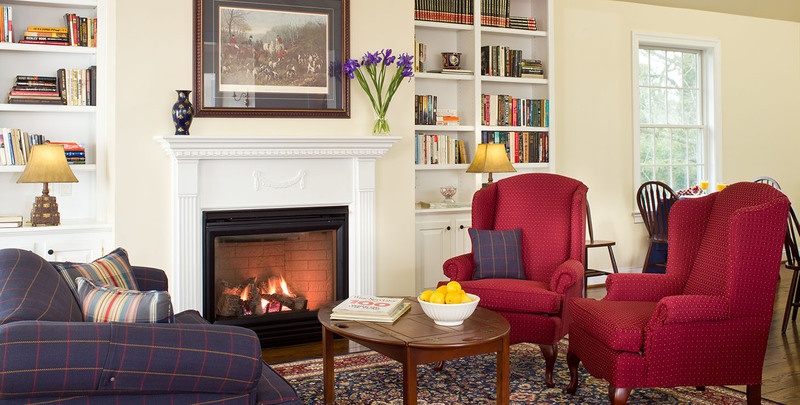 Today, our Brandywine Valley Inn continues to carry on its legacy while ever elevating its guest experience. After a long day of sightseeing or visiting the whimsical gardens, soak up some rays in our custom spring-fed pool with Jacuzzi. 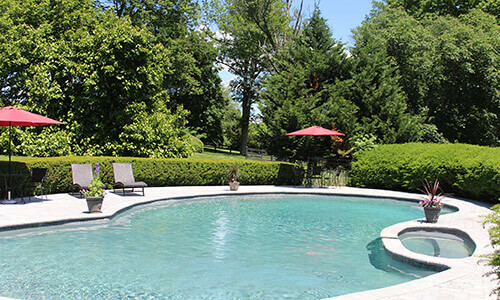 Stylish poolside ambiance and beautiful panoramic views make Whitewing’s pool deck the perfect place to enjoy the warmer weather during your stay. Our all-weather outdoor sofa area creates a relaxing place for friends and family to gather. Sleek lounge chairs and bistro tables with umbrellas provide shaded and relaxing comfort for our guests. Our pool is surrounded by beautifully manicured flowers and tropical palms to ensure the most tranquil environment. 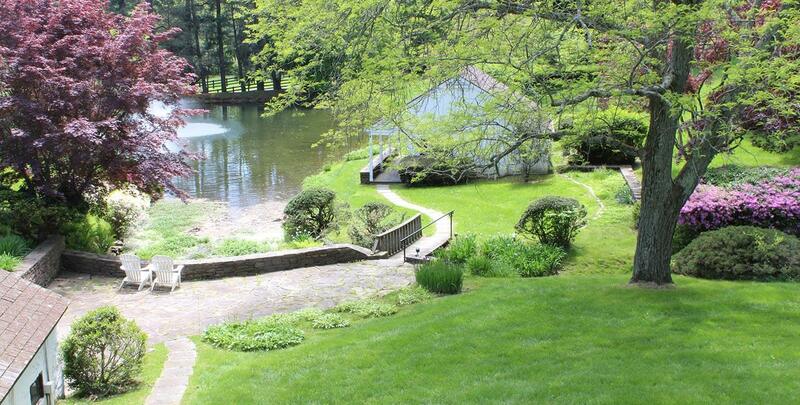 Bass, Yellow Perch, Sunfish and Catfish all call our pond home. The all natural spring-fed pond is the perfect place to catch and release fish with barbless hooks. 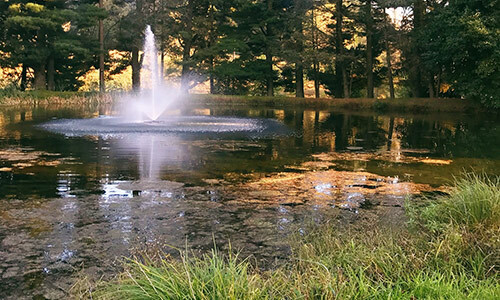 Hangout by the pond on our adirondack chairs and if you’re lucky, get a visit from our Great Blue Heron or pair of ducks! 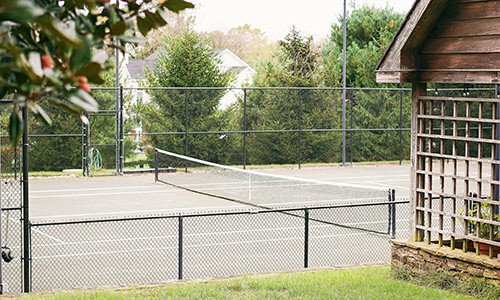 Our Brandywine Valley Inn is home to a state of the art Har-Tru tennis court. Known for being the world’s leading clay court surface, our Har-Tur is able to be played day or night – just let us know and we’ll turn on the lights for you! We even have an in-house pro available if you’d like to sneak in a lesson before exploring the Brandywine Valley. The tennis court gazebo hosts a cozy seating area with plush outdoor pillows and tables to relax with a glass of wine or snuggle up and gaze at the stars. After 30+ years of owning and operating a successful family style Italian restaurant in the Brandywine Valley, Lance and Sandy Shortt acquired the Inn at Whitewing Farm. They love blending their culinary expertise with their incredible sense of hospitality and family. They invite you to their Inn to experience all that they have to offer. Some things are just meant to be… Lance and Sandy are high school sweethearts. They have been together ever since they can remember. They have embarked on journeys throughout life that they were never really prepared for, but ended up always succeeding. They took over a tiny restaurant in Chester County, PA and turned it into a lively family style Italian restaurant & even ended up selling their famous seafood lasagna on QVC! After 30+ years in the restaurant business, they decided they were ready to slow down just a bit. Lance stumbled onto Whitewing Farm. It was love at first sight. In all fairness, the rest of the family thought slowing down meant a beach house in southern New Jersey…apparently that was not what Lance had in mind. 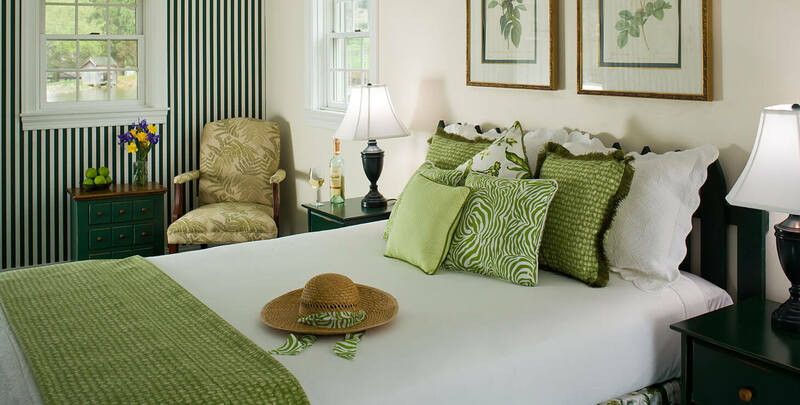 Like any other journey the Shortt family has taken, they’ve poured all their efforts into restoring the 1700-era farmhouse and guest rooms. After about four years spent restoring everything to perfection, they were ready to start their new dream of being innkeepers! The Shortt family takes great pride in inviting guests to their home as strangers and having them leave as friends! Since we are a family-owned and operated business, we are a mother, father and daughter team. Lance and Sandy will be greeting you at the door and making those scrumptious breakfasts. Samantha, Lance and Sandy’s oldest, lives on the property with her family and mainly works on our reservations, social media and has even been called the “coordinator of chaos”. Madison and Jagger are our grandchildren and mini innkeepers who you’ll see helping their pop-pop tend to the gardens, peeking in at breakfast time or cruising around the property on their mini tractors! Jules, Lance & Sandy’s son, just bought a home around the corner. You’ll see him and his family stop by to have some special family time! As a close-knit family, they enjoy spending time with each other! 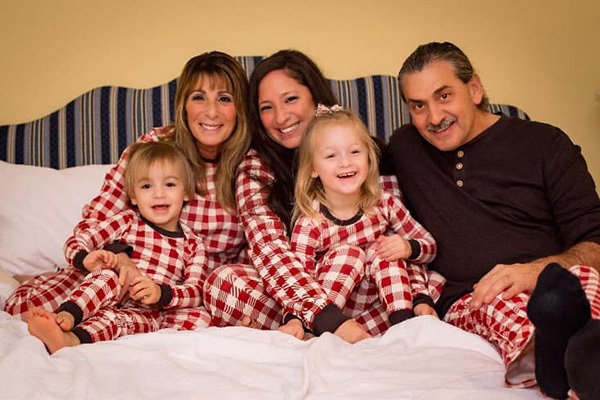 The Shortt family invites you to join the family and visit with them at the Inn.